Coupling the prefix “post” with a genre to describe a band’s sound is an odd and somewhat lazy practice. For example, when a band is referred to as post-metal, it suggests they have some elements that make them a metal band, but they’re just strange enough that they don’t file away in a sub-genre neatly. Using “post-” also makes a band’s music sound like an afterthought. As if they aren’t innovative or interesting, when typically the contrary is true. 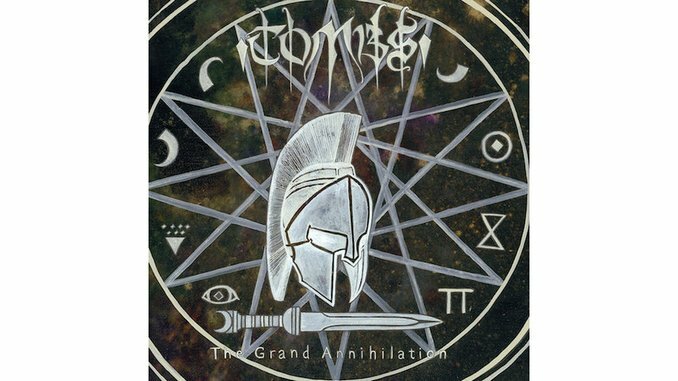 On various information platforms, Brooklyn’s Tombs is described as “post-metal,” or an even more ridiculous cop out: “avant garde metal.” The heavy sounds that Tombs’ guitarist, vocalist, and primary visionary Mike Hill creates on the band’s newest offering, The Grand Annihilation, are slightly tough to define, but there’s no need to pin some lame, ambiguous definition on the record. For the metal fans out there who must have everything in its place (i.e. all of them), it’s safe to say a large chunk of the elements within the group’s fourth full-length are clearly black metal. Annihilation opens with “Black Sun Horizon,” which leads with a morose, tremolo-picked dual harmony from Hill and second guitarist Evan Void, while drummer Charlie Schmid blasts furiously behind it. Subsequent tracks like “Way Of The Storm” and “Old Wounds,” are also driven by the same tornado of riffs and drums, but tracks like “Saturnalian” and “November Wolves” comes with a more mid-tempo, or slithering doom pace. Whatever speed Tombs clocks in at, it’s all veiled in bleak darkness. Again, very black metal. Aside from guest backing vocals from the album’s producer Erik Rutan and Raeph Glicken (Black Anvil), Hill handles all the vocals on Annihilation using a wide array of voices. He enlists a gurgling rasp, a meditative, monotone sneer, and on the tracks “Cold” and “Shadows At The End Of The World” he does a killer Tom G. Warrior impression. The constant shift in Hill’s vocal delivery makes for a multifaceted listen, but you’re always guaranteed to get something harsh. You know…(clears throat)…black metal. But, honestly, post metal, black metal, here metal, there metal…if it sounds good loud, that’s all that really matters. And to that end, Annihilation sounds very, very good.